(March 14th, 2016) Japanese Prime Minister Shinzo Abe, who will be the main host of this year’s G7 Summit, on May 26-27, last week marked the fifth anniversary of the huge earthquake and tsunami that struck the north coast of Honshu on March 11, 2011. “Already, five years have passed since the Great East Japan Earthquake, which claimed many precious lives and completely changed the lives of so many more people. “When I think of the despair of those who lost beloved members of their families and friends in the disaster, I am overwhelmed even now with deep sorrow. It is with my deepest sympathy that I reiterate my sincerest condolences. 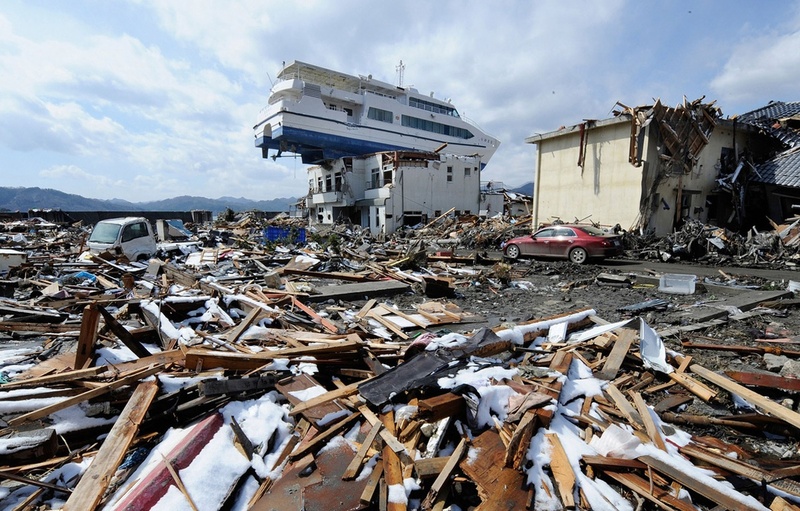 I would also like to extend my heartfelt sympathies to all those who have been affected by the disaster. “Many people are still leading uncomfortable lives in the affected areas. There are many who cannot return to their beloved homes because of the accident at the nuclear power plant. “Every time I visit the affected areas, I fully sense that ‘the disaster is continuing.’ And yet, step by step, the reconstruction is making steady progress. Revitalization of the livelihoods of the residents is similarly gathering pace and becoming fully fledged alongside the construction of new housing. “By being aware of the circumstances of each and every one of the affected individuals, we commit ourselves to such tasks as providing care for their minds and bodies, forming new local communities and supporting industrial development of the affected areas, so that reconstruction leads to the attractive revitalization of the region.